COMMENT: I was visiting Old Quebec City, Canada, primarily to photograph its winter carnival activities and especially the world-class ice sculptures. After having lunch, I was exiting the Hotel Chateau Frontenac which opens onto the Place de Armes and walked into a heavy snow storm with the horse and buggy right in front of me. 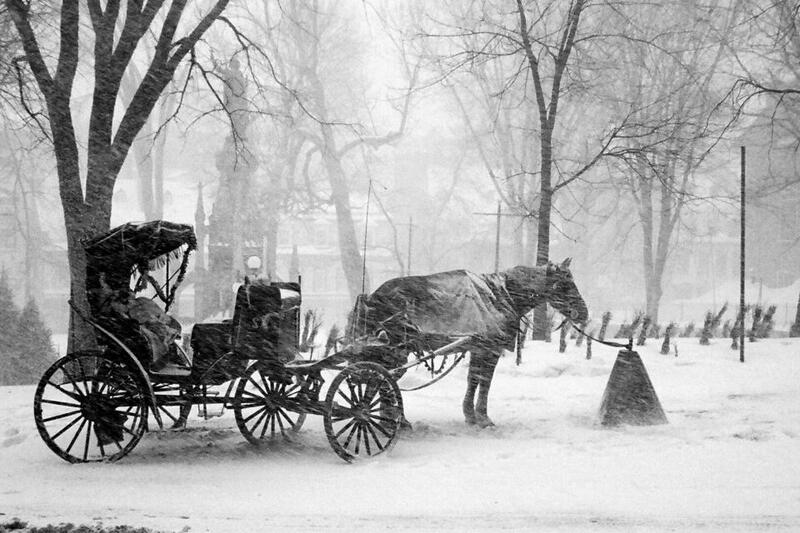 Half a dozen images later, the snow stopped and the horse and buggy got a customer. This has been one of my most successful fine art images.